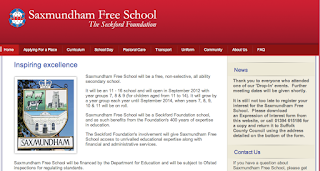 How will the Ixworth Free School "partnership" with the Seckford Foundation Work? In their letter to parents sent yesterday the Ixworth (and Stanton) Free School group said that they had decided to "partner" with the Seckford Foundation to make a bid for the school. 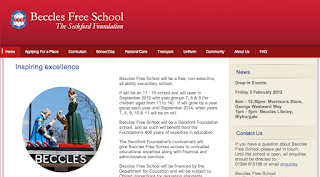 As they mentioned the Seckford Foundation has already established three such "partnerships" and are proposing to open schools in Beccles, Saxmundham and Stoke by Nayland as part of a chain of free schools. Partnership implies at least some degree of equality in a relationship which is why people describe their husbands, wives, boyfriends or girlfriends as "partners". Indeed in the example above where there is less equality the "junior partner" there is a need to use the word junior to qualify it. 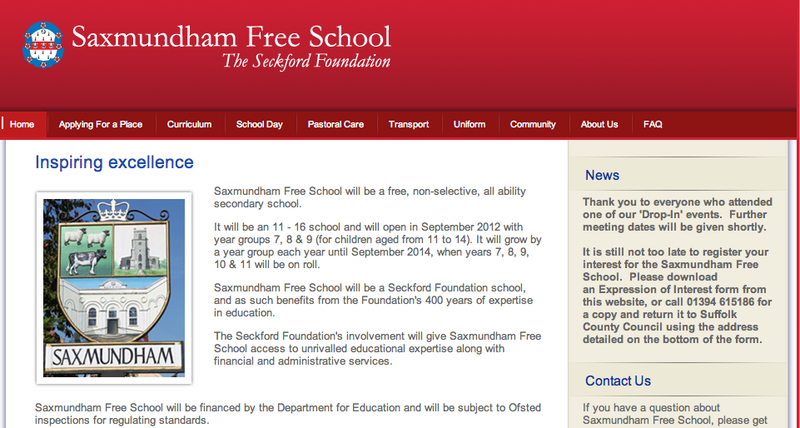 So how will the partnership between the Ixworth Free School group and the Seckford Foundation work? Well we are not absolutely sure as they have not yet replied to my email asking them to clarify the process but we can be reasonably certain it will be broadly the same as the exiting three proposals. As you can see all three of the schools proposed so far have pretty much identical websites and propose school that will be very similar if not exactly the same as each other. It's a bit like Cambridge and Peterborough Services if you have been there. So similar you end up losing all sense of which city you are actually in. 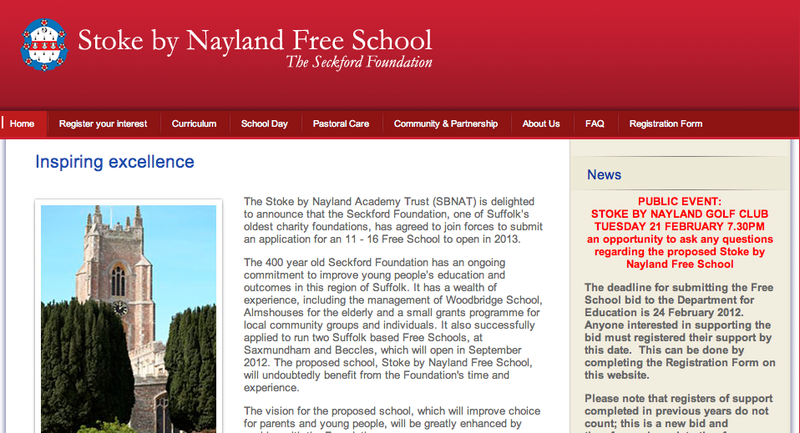 Stoke by Nayland Free School's governing body will include parents, staff and other members of the community. 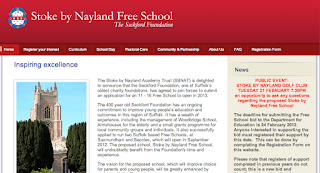 Because Stoke by Nayland Free School will be a Seckford Foundation school, the governing body will be chaired by, and will contain representatives from, The Seckford Foundation. It's worth noting that in a community school like Ixworth Middle School now and Thurston Community College parents have up to 40% of all the places on the Governing Body with staff, community representatives and Local Authority representatives making up the balance. To me this is much more of a partnership. Now it maybe that parents are entirely happy with this approach but I think that the free school group should at least be clear about it. The one thing it isn't is a partnership. My personal view is that this is like a chain of Educational supermarkets. 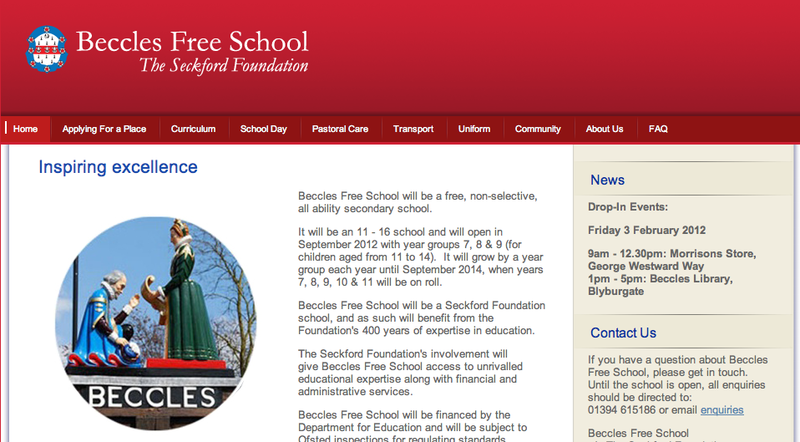 True, Seckford Foundation are running it so it will be more like Waitrose than Asda but it is still a supermarket.